Pittsburgh Steelers’ President Art Rooney II, the son of U.S. Ambassador to Ireland Dan Rooney, has issued a statement in response to controversial Tweets attributed to Steelers’ running back Rashard Mendenhall after the United States killed Osama bin Laden two days ago. The Tweets have sparked a web firestorm and enraged one of America’s hardest-working cities. Pittsburgh, a community of both brawn and brain, does not suffer fools gladly. And it does not like to see its storied football franchise and its beloved Rooney family drawn into controversies. Bin Laden’s terrorist group killed nearly 3,000 people in the United States on Sept. 11, 2001. Bin Laden was found Sunday hiding in a mansion in Pakistan. The news of his death sparked spontaneous street celebrations in U.S. cities. Did Mendenhall use Twitter to elicit sympathy for the terrorist leader? Another Tweet attributed to Mendenhall seemed to touch on a conspiracy theory that raised doubts about what really happened at the collapsed Twin Towers in New York City nearly a decade ago. Other Tweets attributed to Mendenhall appeared to suggest Americans had judged Bin Laden too harshly after the murderous 9/11 ambush from the skies. “Those who judge others, will also be judged themselves,” one Tweet read. The Twitter site did not explain whether the United States should have done nothing after being attacked on its own shores in September 2001. Nor did it explain whether the administrations of President George W. Bush and President Obama had any duty to defend the United States in the aftermath of the devastating attacks or seek justice for the American people and the families of victims of the attacks. The burgeoning Mendenhall flap was occurring against the backdrop of an appearance today on Capitol Hill by U.S. Attorney General Eric Holder before the House Judiciary Committee. “As I have stated often, no aspect of our work is more important — or more urgent — than protecting the American people,” Holder told the panel. “This is our top priority — and our most fundamental responsibility. “Two days ago — with the death of Osama bin Laden, the leader of al Qaeda and the world’s most wanted terrorist — our nation made historic progress in fulfilling this responsibility, and in achieving justice for the nearly 3,000 innocent Americans who were murdered on September 11, 2001,” Holder said. The embassy’s website features information on the action and the death of bin Laden. 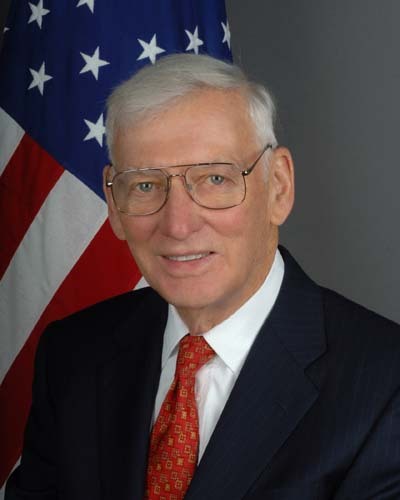 Ambassador Dan Rooney praised the President and the action. The Post-Gazette reported in 2008 that Mendenhall had a five-year, $12.55 million contract with the Steelers that guaranteed him $7.125 million. Pittsburgh took great pride in Obama’s nomination of Dan Rooney to the embassy post.